In honor of Honesty Day (created by M. Hirsh Goldberg in the 1990s), Jewish Treats presents some fascinating insights into the Jewish view on the importance of honesty. Much of what Jewish law has to say about honesty and its opposite, falsehood, comes by way of commandments that guide a person to living an honest life. For instance, there are prohibitions against bearing false witness and tampering with weights and measures. However, there are also examples in the Torah where it is apparent that a “little white lie” is sometimes appropriate. God doesn’t tell Abraham that Sarah said he was old because He chose to omit the hurtful part (Genesis 18:12 -13). Still and all, the Torah does enjoin that one keep themselves far from false matters (Exodus 23:7). 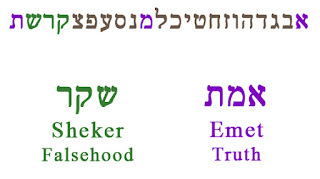 The Hebrew word for falsehood is sheker, spelled with the Hebrew letters shin, kuf and reish, which are the three letters (not in consecutive order) before the last letter of the Aleph Bet. 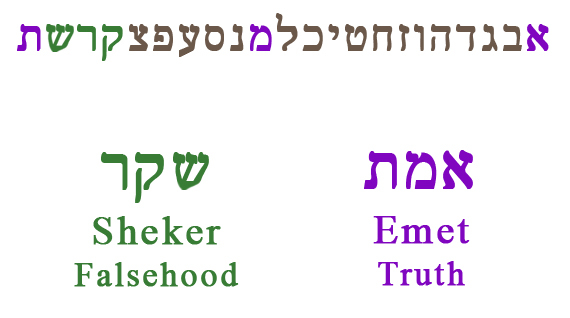 This is in contrast to the emet, which means truth and whose letters are aleph, mem and tav, the first, middle and last letters of the Aleph Bet. The sages stated: Why are the letters of sheker close together, while those of emet are far apart? Falsehood is frequent, truth is rare. And why does falsehood stand on one foot (referring to the shape of each of its three letters) while truth has a brick-like foundation? Truth can stand, falsehood cannot” (Talmud Shabbat 104a). Always choose your words with care. 2018: The 14th of Iyar this year begins on Saturday night and ends on Sunday at nightfall. Be creative in serving a bit of matzah on Sunday in honor of Pesach Shaynee. 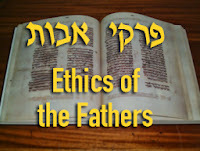 Transmitting words of wisdom to leaders of future generations, the Men of the Great Assembly advised: “Make a fence for the Torah” (Pirkei Avot/Ethics of the Fathers 1:1), which alludes to the additional “protective” communal rules enacted by the sages that make it difficult for people to transgress actual Torah law. The great sage Rabbi Akiva noted, in a later citation of Pirkei Avot, that the Torah also contains fences meant to protect the Jewish people. “Tradition is a fence for the Torah.” Tradition, in this case, is masorah, the Oral Torah that was transmitted from sage to sage through the generations until it was first redacted in the Mishna. 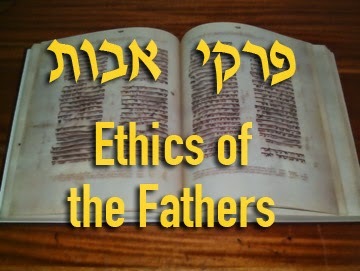 Without the masorah, one would be unable to understand the laws of the written Torah. “Tithes are a fence for wealth.” Tithes refer to the Torah obligation to give portions of one’s earnings to support the kohanim (priests) and the poor. Tithes not only raise one’s awareness of the needs of others, but they establish a person’s sense of gratitude for the success with which they have been blessed. This sense of gratitude is key to Torah’s definition of a wealthy person, “one who is happy with his lot” (Pirkei Avot 4:1). “Vows are a fence to abstinence.” The Torah does not generally demand abstinence from the pleasures of life, and the details of halacha are intended to help a person live a well-balanced life. However, when a person chooses to withdraw from certain physical activities in order to draw closer to spirituality, falling back into bad habits can be severely dispiriting. Making a vow, a very serious act in halacha, fortifies one’s resolve. “A fence to wisdom is silence.” This final statement of Avot 3:17 is, perhaps, best understood in connection with the Mishna’s first statement: “Joking and foolishness acclimate one to immorality.” Being wise, often means making the choice to restrain from interacting with people who will encourage unbecoming behavior. When you have questions on Jewish law or custom, ask a rabbi for guidance. Do you remember learning about genes and DNA, about inherited traits and Gregor Mendel’s pea plants? It has long been known and accepted as scientific fact that each person’s DNA makes them, on a physical level, who they are, and unique from everyone else. In recent decades, as genetic science advances and becomes more accessible to the general populace, droves of people are experimenting with genetic testing to understand who they are - at least from a heritage point of view. On April 25, officially known as National DNA Day, Jewish Treats presents a very brief overview of the idea of Jewish DNA and its implications for the Jewish people. As unlocking ethnic heritage became possible via genetics, it is not surprising that researchers chose to study the Jewish people. Here they had a large, multi-national group of people claiming common ancestry. Even more interesting is that even among Jews, those claiming to be kohanim (Cohen, of the priestly descent) are, according to the Torah, all descendants of Aaron. Studies of Kohanim showed that a significant percentage of those claiming to be part of the priestly caste, whether Ashkenazi, Sephardi or other, shared a unique haplotype on the Y chromosome, consistently transmitted from father to son. 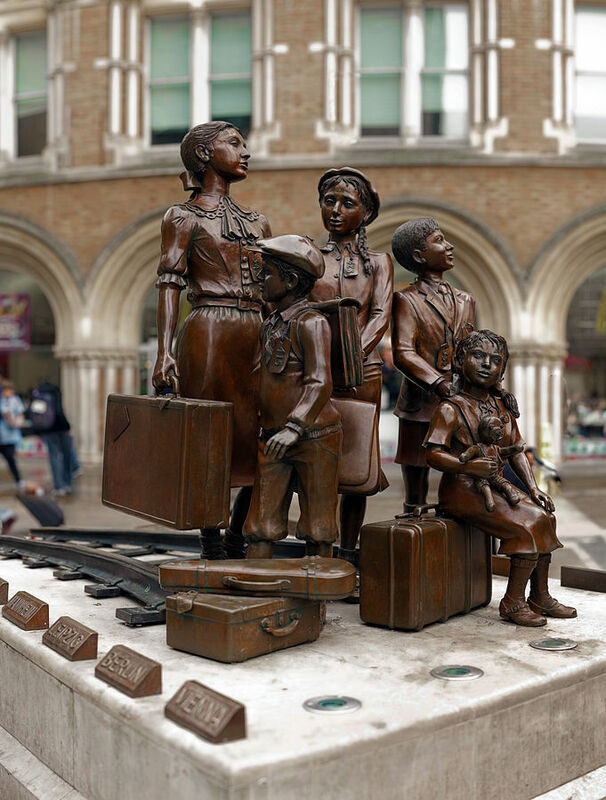 While studies of the Jewish population in general were not quite as specific, studies have recognized distinct links that even cross continental borders. What does all this mean for the 21st century Jewish community? The Jewish people have never been 100% homogeneous. Even in Biblical days, the Jewish people accepted converts (Jethro, Ruth), and in the many millennia since then there have been Jews of every race and ethnicity. Since, according to traditional Jewish law, a person is Jewish if born of a Jewish mother (unless one converts), questions have been raised as to whether DNA can be used to establish Jewish identity. Jewish Treats humbly leaves that question to real experts in Jewish law. If you don't have a written record of your family history, take the time to write one for posterity. There are some people who are born with a natural energy to do and to organize. Sophie Udin (1896 - 1960) was just such a woman. She was still a young child when her parents emigrated from Zhinkav, Ukraine, to Pittsburgh, Pennsylvania. As soon as she completed high school, however, Udin moved to New York to enroll in the New York Public Library’s Library School while she also joined their staff. She continued to serve on the New York Public Staff while she earned her BS in education from Columbia’s Teachers College and a Masters from Columbia’s School of Library Science. Udin chose to pursue a career as a librarian because it was one of the few professions open to women. 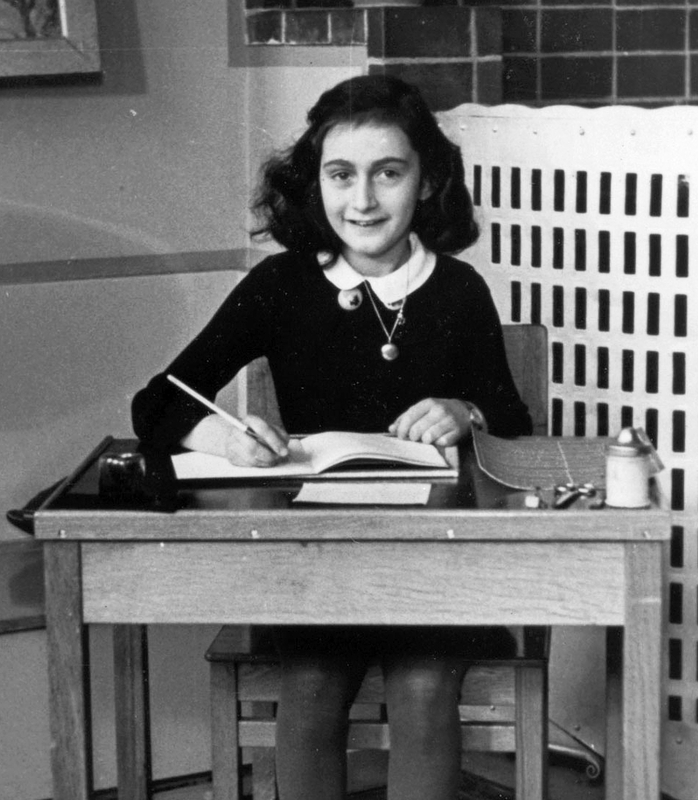 Little did she know how much that choice would affect that which was her real passion - Zionism. Udin joined the American Poale Zion when she was 14, and in 1918 she helped organize the American Magen David Adom and served as its first national secretary. In the 1920s, Udin traveled twice to British Mandate Palestine. 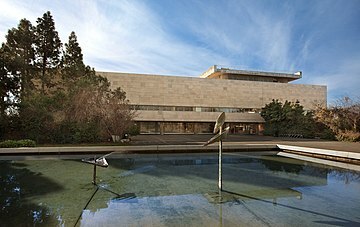 During her second visit, she worked at the newly formed Jewish National and Hebrew University Library, convincing them to use the Dewey-Decimal system and Anglo-American Cataloguing. Back in America, Udin married Pinchas Ginguld, who was a fellow activist in Poale Zion. Shortly thereafter, with six other women from the organization, in response to a call for funds from Rachel Ben-Tzvi to help obtain water for trees in a nursery, Udin created the Women’s Organization for Pioneer Women in Palestine, which eventually became Na’amat USA. 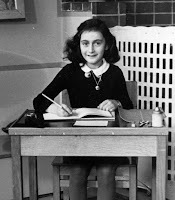 She also established and organized the Zionist Archives and Library in New York. 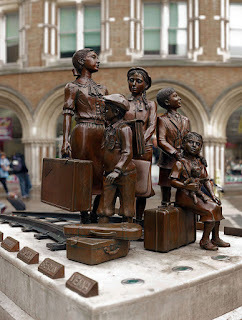 In 1949, Udin, along with her son and daughter (Ginguld stayed in New York) made Aliyah. Prime Minister David Ben-Gurion immediately set her to work establishing and organizing the Israel State Archives (now the National Archives). In 1951, Udin was one of the founders of the Association of Americans and Canadians in Israel, which helped new immigrants resettle. Sophie Udin passed away on April 24, 1960. Before summer arrives, check out Jewish camp options for the children in your life. In honor of April 23, which the United Nations has declared English Language Day, Jewish Treats presents a history of the Jewish Publication Society (JPS), the oldest not-for-profit, non-denominational Jewish publisher in North America. The modern JPS was created in 1888, at the behest of Rabbi Joseph Krauskopf, the new rabbi of Philadelphia’s Congregation Keneseth Israel. He called a meeting of 100 rabbis and presented to them the great need of the American Jewish community for Jewish books in English. The Jewish Publication Society of America was thus recreated with a start-up budget of $5,000 from Jacob Schiff, $5,000 from Meyer Guggenheim, and money raised through the offer of a subscription service. At its helm, as editor-in-chief, was Henrietta Szold. Its first publication was Outlines of Jewish History by Lady Katie Magnus. The foremost project of the JPS was an English translation of the Bible. It was completed in 1917, and copies were distributed to Jewish soldiers heading to battle in the Great War. In 1965, it was re-issued with a more modern translation. In 1985, the JPS Tanaak was published as a three volume set: Torah (Five Books of Moses), N’viim (Prophets) and K’tuvim (Writings). In 2012, JPS reached a collaborative publishing arrangement with the University of Nebraska Press. Since its founding, Jewish Publication Society books have received numerous awards. It has worked with such well known writers and scholars as Chaim Potok and Marcus Jastrow and was responsible for such well-known publications as The Jewish Catalogue, The American Jewish Yearbook and The Legend of the Jews. If you have Jewish books that you love, share them with friends and family. This Treat was last posted on May 16, 2012. This Shabbat, surround yourself with people with whom you enjoy celebrating the holy day. The founders of the State of Israel did not have much time to set up and plan the specifics of government, and so it is not surprising that the country emerged from its fight for Independence with a parliamentary governing system very similar to that of the British. Like the British Parliament, Israel’s Knesset is a unicameral legislative body. It is a complex arm of government that is composed of many political parties who must work together to form coalitions in order to create a functioning government, including determining who will lead the country as Prime Minister. Plans for development of the Knesset began prior to the withdrawal of the British Mandate troops. In April 1948, the leaders of the Jewish settlement in Israel created the Moetzet Ha’am (People’s Council). When independence was declared, this became the Provisional State Council. Elections for legislators were finally able to be held in mid-January 1949, and on February 14th, the first elected Knesset officially began. At first, the Knesset had no home and met in a wide variety of locations, including the Kesseim Theater in Tel Aviv. At the beginning of 1950, the Knesset set itself up in the Froumin Building on Jerusalem’s King George Street. Plans, however, were already in the works for a more permanent solution. A location was chosen and architectural designs were submitted when James de Rothschild offered to finance the construction. Its cornerstone was laid in October 1958, and it was finally completed on August 31, 1966. Elected legislators are known as Members of Knesset (MKs). There are 120 MKs, a reflection of the 120 members of the Anshei Knesset Hagadolah (Men of the Great Assembly) that was established by Ezra after the Jews returned from the Babylonian exile (516 BCE). Jewish Treats and NJOP wish Israel a happy seventieth birthday. Today, the hilltop of Latrun, just 15 kilometers west of Jerusalem, is a popular commemorative site that features an armored corp museum. This landmark, which was once the location of a Templar castle and later a monastery, before becoming a British controlled police base and detention center, represents the not-always-victorious battles during the 1948 Israeli War of Independence. According to the United Nations partition plan, the area of Latrun was to be in Arab territory. However, from Latrun, Arab irregular forces were constantly attacking convoys and blockading access to Jerusalem. In an effort to eliminate this blockade, Operation Maccabi was launched just days before the official British withdrawal. The Jewish soldiers made significant headway, but were unprepared to hold the territory. When they retreated, unbeknownst to the Israelies, the Arab Legion, a British trained force with British commanders, joined the Arab forces and reclaimed the location. When Independence was declared, Arab armies invaded and the new government had to quickly organize and prioritize. Knowing how important it was to break the Jerusalem blockade, David Ben-Gurion ordered another attempt to capture Latrun. The resulting Operation Bin Nun Alef was a disaster, with a planned midnight assault delayed until near dawn and the failure of reconnaissance to learn of the presence of the Arab Legion. (Among the many injured on May 25, 1948, was future Prime Minister Ariel Sharon, who was shot in the stomach.) Four days later, Operation Bin Nun Bet tried again, and they were again repelled. Jerusalem was starving. While Yigal Allon led Operation Yoran against Latrun on June 9th, American Colonal “Aluf” Mickey Marcus, secretly directed the creation of the “Burma Road” to serve as an alternate supply route for the city. Operation Danny, in mid-July, was the last unsuccessful attempt to take Latrun. The strategic hill remained in Jordanian hands until the 1967 Six Day War. The State of Israel's independence, as well as its continued survival, is a modern day miracle. But, it has come at great cost in human lives to its citizens. (There have been over 24,000 fallen soldiers since the State of Israel was founded.) Therefore, before Israel celebrates its independence, Israel honors the memory of those who gave their lives for their country. On the 4th of Iyar,* Yom Ha'zikaron, Memorial Day is observed. Memorial Day in Israel is not a day of picnics, fairs and fireworks. To honor the fallen soldiers, sirens are sounded simultaneously throughout the entire country, once in the evening and once in the morning. As the alarm pierces the air, all traffic comes to a halt and everyone stands for a moment of silence in honor of those who have fallen. Take a moment out of your own life to honor those who gave their lives to form a safe haven for the Jewish people. If you have not done so recently, schedule a physical. Torah Scholars regularly immerse themselves in a process of study that is thousands of years old. Each scholar studies not just the sacred texts, but the enriching commentary of the preceding generations, and then adds to that scholarship their own unique enrichments. One such significant commentator is generally referred to as the RaDaK, the initials of Rabbi David Kimchi. Born in 1160, in the region of Narbonne (France), Kimchi came from a family of scholars. His father, Joseph, who passed away when he was a child, was a noted grammarian, as was Moses, his older brother who raised and educated him. Upon reaching adulthood, Kimchi supported himself as a teacher of the Talmud. Building upon the scholastic heritage of his father and his brother, Kimchi published Michlol (Book of Completeness), which was both a study of Hebrew grammar and a lexicon. Later publications divided the two parts into separate books, the latter of which was titled Sefer Hashorashim (Book of Roots). An abridged version, Et Sofer, became a popular grammar guide for Biblical scholars. Much of the Radak’s Biblical commentary was based on grammar and etymology. His commentary is found most prominently in the Books of the Prophets, as well as in Genesis, Psalms and the Books of Chronicles. In addition to his scholarly work, Rabbi David Kimchi was also involved in refuting Christian attacks on Judaism. He also weighed in on the Maimonidean controversy as a defender of Rabbi Moses Maimonides’ philosophical works. He even tried to travel to Spain to take part in the controversy personally, but he died, in 1235, before reaching his destination. Carry spare change to use for giving charity. Shabbat is almost here! Enjoy your challah! Spend time with survivors and hear their stories. Mark Yom Hashoah (Holocaust Memorial Day) by discussing tolerance and history with friends and family. Share your passion for Jewish life with others. Carry the spirit of Passover into the rest of the year by placing focus on the importance of spiritual freedom. Use restocking after Passover as a reason to shop at your local kosher grocery. Rabbi Moses ben Maimon (Maimonides, Rambam, 1135-1204) set forth the Thirteen Principles of Faith, which are poetically recited with the opening phrase "Ani Ma'amin." The twelfth statement of faith is: “I believe with perfect faith in the coming of the Messiah; and even though he may tarry, nonetheless, I wait every day for his coming.” The connection between the Thirteen Maimonidean Principles of Faith and Mimouna is further confirmed since Mimouna is celebrated on the yahrtzeit of Rabbi Maimon ben Joseph, the Rambam’s father (a great scholar in his own right). Designate time during the holiday to contemplate the relationship between God and the Jewish people. Leviticus 23:34-36: On the fifteenth day of the seventh month is the Feast of Tabernacles ... On the first day shall be a holy convocation; you shall do no manner of creative labor. For seven days you will bring a fire offering to God; on the eighth day shall be a holy convocation for you ... it is a day of solemn assembly; you shall do no manner of creative labor. After the calendar was set, it was decided that the institution of Yom Tov Shaynee Shel Galuyot be honored by remaining in practice. To this day, Jews in Israel celebrate one day of Yom Tov, while Jews throughout the rest of the world celebrate two. This difference between Israel and outside of Israel affects the holidays of Sukkot, Shemini Atzeret, Passover and Shavuot. This Treat was originally posted in May 2012. Invite local friends to celebrate the final festival meals with you.